Sweet girl pop from Bernadette Carroll! 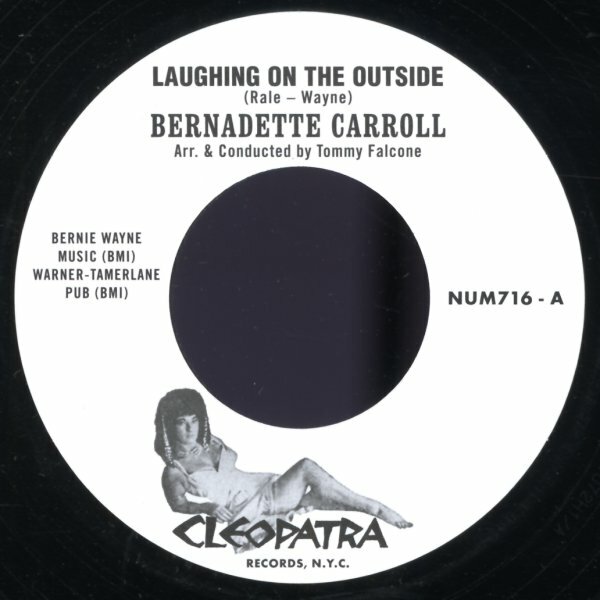 "Laughing On The Outside" is the kind of weepy gem that might have been recorded by Joanie Sommers – but handled here with a nicely indie vibe that has spare strings moving nicely next to Bernadette's blue-tinged vocals, and a nice spoken bit in the middle! "Heavenly" picks up the pace a bit more – percussion and strings leaping along with some handclaps – all to create a proudly-strutting groove that has Carroll singing in a completely different mood! © 1996-2019, Dusty Groove, Inc.